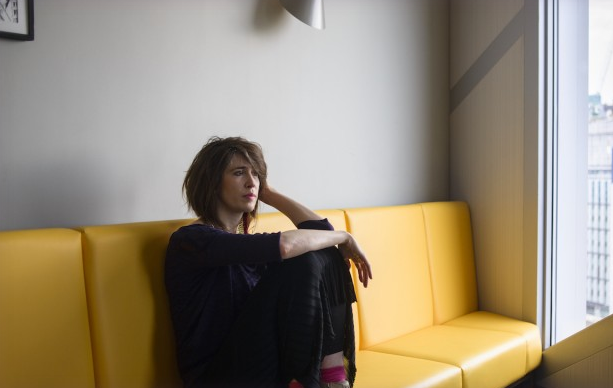 Award-winning recording artist Imogen Heap is on a mission to decentralise the music industry. Could blockchain technology hold the key? Yessi Bello Perez reports. Known for her musical prowess and as one half of British electronic duo Frou Frou, Grammy-winning artist Imogen Heap is also a technologist and one who’s striving for the decentralisation and democratisation of the music industry. Heap developed an interest in technology at an early age. She explains that, when she was 12, her parents split up and she went to boarding school. “I spent a lot of my time there hiding in a cupboard that had a computer in it – that was my first introduction to music and programming,” she said. As the years went on, she used her school recording studio and learned about electronic music, recording techniques, amplification and so on. All the time sat in the school cupboard paid off, as Heap secured a record deal at the age of 17. Now, aged 38, she has one Frou Frou album and four solo albums under her belt and has an extensive knowledge of the workings of the music industry. One thing she has learned is that there is a great lack of transparency in the industry, a problem she feels technology is best suited to remedying. Recently, the artist has been exploring the potential of blockchain technology, which is already creating waves in financial services and is now showing great promise in other areas, such as the arts. “Blockchain is the catalyst for change in the industry. It’s a new piece of technology, in the same way MP3 was. It’s a step in the right direction,” said Heap. Blockchains could enable artists to release their tracks themselves and gain greater control over the terms of the release and the profits received. They could use smart contracts to dictate who gets what share of the money generated and, on the consumer side, they could even implement a tiered pricing structure depending on who is purchasing the track and for what purpose. It could operate a similar premise to photo sharing platforms such as Flickr – those using an artist’s music for non-commercial purposes could get hold of it for free, while those wanting to use it on, say, an advert, would have to pay a fixed amount. Heap said it would give artists greater control over pricing, something which they have little to no say on currently. She thinks it would be great for artists to be able to action flash sales on their tracks, or issue them for free to those under the age of 16, for example. Let’s say there’s a natural disaster in Asia, the artist could decide to syphon all proceeds from their tracks to a disaster relief fund, for a limited period. “To have that constant connection with and control over your music would be amazing,” she added. Heap said a decentralised database would also give artists more insight into and feedback from their audience. Currently, the power lies in the hands of a few: the distributors and record labels. They receive all the data – for example how many times a track has been listened to. A distributed ledger hosting music would enable artists to see how many times their track had been played, where and possibly even by whom. Heap also sees such a database as being beneficial to audience members. She envisions a data-driven world where music fans can access additional information about a track’s history and makeup. They would be able to find out what instruments were used in the production of a song, where it was composed and which musicians were involved. The move from CDs to MP3s and the likes of Spotify has meant artist information isn’t as visible. The paper inserts in CD cases detail everything from pictures of the artist/band to the song lyrics and information on all the people involved, such as musicians and producers. This level of detail is being lost, which Heap thinks is a real shame. She would like to see a decentralised database featuring all of this additional information. It would all be connected to the relevant track, and musicians could even add images of where the song was written, or a note explaining the story behind it – the possibilities are endless. So is blockchain the answer? Heap was initially excited by the potential of issuing music on the blockchain and released her album Tiny Human on Ethereum’s public blockchain in October last year. She now feels decentralised technology could be leveraged as part of a more sophisticated solution, but on its own, it still has its flaws. She feels the bitcoin blockchain certainly isn’t the answer – firstly, it’s built for financial transactions and, while additional data can be added along with fund transfers, this causes an issue known as ‘blockchain bloat’. This means the ledger becomes inundated with an excess of information and the confirmation of financial transactions is significantly delayed. “I imagine the bitcoin community is not so up for the idea of other things being embedded on the bitcoin blockchain because it takes up a lot of space and time. “It’s so much data, if you are talking about all the music data in the planet. I don’t think this amount of data should exist entirely on a blockchain or even multiple blockchains,” she noted. Beyond this, current blockchain solutions provide a degree of anonymity to users, which means they fall short for Heap, as they can’t facilitate the collection of some of the information she so desperately wants and needs. “There are things that aren’t that great about blockchain, like, I wouldn’t be able to know where my customers are and that’s one of the key bits of information I require – to know where my audience is,” she explained. So while blockchain technology is a step in the right direction, it seems it doesn’t provide everything the industry needs. Heap has dubbed the possible solution ‘Mycelia’. For now, it’s just an idea and one she hopes will get the conversation started and help lead to a viable solution for those in the industry. Heap is keen to stress that Mycelia, whatever form it ends up taking, will not be a competitor for the likes of Spotify. It’s not about competing with what’s already out there, she said, it’s about creating something new that works for both musicians and music lovers. “Mycelia wants to look at the architecture that is currently out there, explore new technologies such as blockchain tech and find the best case scenario for musicians. “It is about finding a way to encourage the best developments and research to build an ecosystem that makes more sense for artists,” added Heap. In her opinion, facilitating greater transparency and the increased sharing of data will result in greater profits for distributors, labels and artists. “If you are open and you share your data, more work will come to you. It’s a better way of being. Closed data, protective databases and being possessive over the flow of data is actually what is biting record labels in the bum. “We need to streamline the system and save money where we can and give that back to the artists so they can shape their own futures,” Heap added. Record labels should learn from past mistakes and adapt to the way in which consumers are interacting with technology and do so quickly and efficiently, she stressed. Looking back, Heap is eager to discuss the way in which the music industry dealt with the now-defunct peer-to-peer file sharing service Napster, launched in 1999 and forced to cease operations after it encountered legal difficulties over copyright infringement. Heap feels the tides are turning and the music industry could now be more open to innovation. The time is right for a change to take place and for artists to gain more information and control, but for this to happen, a global database is imperative. Heap’s passion for tech innovation goes far beyond her grand plans for music distribution. She has also been involved in hardware development and has spent the last seven or so years – and approximately £250,000 – working on her Mi.Mu gloves. Although still in development, Heap’s gloves signal a potential revolution for musicians on and off-stage, changing the way they interact with technology, hopefully forever. The gloves, which allow musicians to interact with their music producing software remotely, have eight sensors on each hand and use a neural network to recognise posture and feed back to her computer via radio frequency. She’s now working with her team to ensure computers are able to understand gestural language and interfacing, rather than interpreting binary code. It’s clear Heap’s ambitions are largely about making technology work for the artist, rather than the other way round. This opportunity to create and innovate, has, according to Heap, been made possible partly due to the hacker revolution; the idea that people can create outside of the confines of a science lab. “We don’t need to have a university behind us to make a pair of gloves. Technology has always filled in the gaps and where it doesn’t, I try to build things myself. “That was really the main impetus, there wasn’t a pair of gloves out there that enabled me to interact with my software remotely, so I began working on them,” she explained. It seems Heap’s efforts haven’t gone to waste as some high-profile artists such as Ariana Grande – who took a pair of Mi.Mu gloves on her last tour – have shown real interest in her creation. A failed crowdfunding attempt to raise money for her potentially game-changing gloves may have set her back somewhat, but Heap is still keen to use technology to bring positive change for the industry and her peers. Watch this space. This article first appeared in issue 10 – The Blockchain Issue – of Tech City News’ magazine. View the digital version online and subscribe to keep up to date with Tech City News.